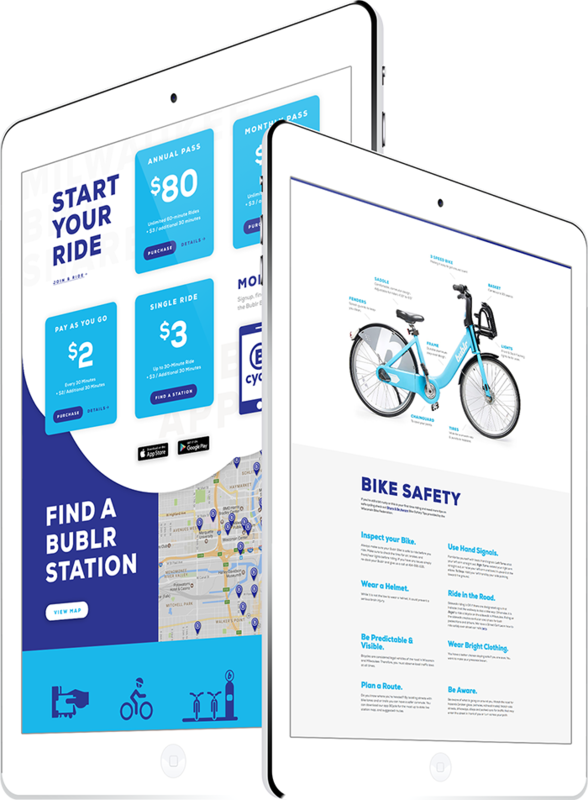 We were thrilled to have the opportunity to work with Milwaukee's bike share on an updated website to promote its mission to deliver an accessible, convenient, integrated and sustainable system for all. 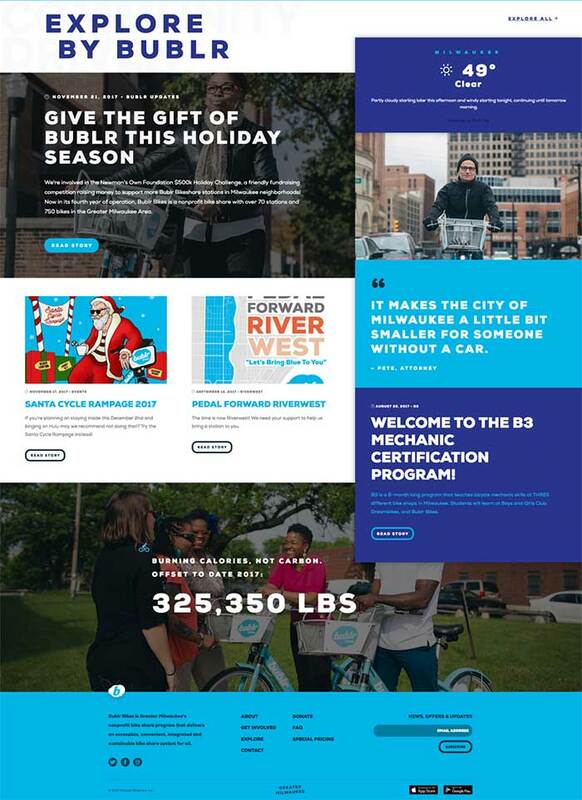 We worked to prioritize engagement with Bublr in the user experience, putting a focus on features like membership and donation options and raising those facets to the top level of the site. 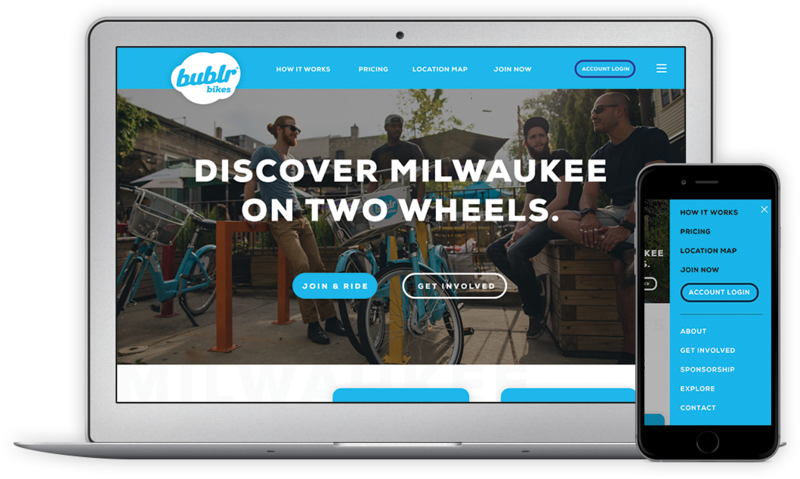 By encouraging interaction and engagement, we created a fun and efficient site for Bublr, that allowed users to both immediately get to know Bulbr, as well as its functionality. We are very proud of the end result and its ability to aid in Bublr's mission. We developed the blog/journal with versatility in mind, featuring a CMS with various layout options to compliment engaging content that increases SEO.